This research guide will help you research magicians and the history of the performing art of magic, or conjuring. 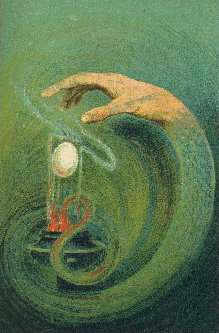 This is separate from the occult or the supernatural, though magicians sometimes used the language of mystery and the supernatural to enhance the entertainment value of their shows. 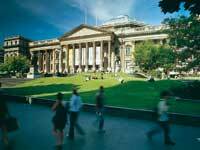 The State Library of Victoria is fortunate to hold the WG Alma Conjuring Collection. Other sources such as newspapers can be useful for researching particular magicians and magic tricks. For an overview of the collection, try this video. WG Alma was born William George Bishop in Melbourne in 1904. His father, Oswald Bishop, was a professional vaudeville magician, known by several names including 'Alma the Court Magician', and Pharos. He abandoned the family when Will was a child. Despite this, Will followed his father's profession - not only as a performer but also as a manufacturer and supplier of tricks and equipment. He became well known around Australia, touring with international stars like 'The Great Levante'. Performing as the 'The Amazing Alma' he became a member of the Magic Circle in 1954 and was elevated four years later to the exalted status of Gold Star Member of the Inner Magic Circle. 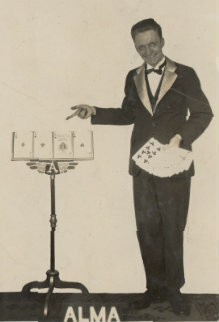 In the 1930s he set up his own business, the Alma Magical Company, which he operated until 1947. When Will Alma retired in 1978 he continued to promote the history and art of conjuring through his extraordinary collection of magicana. He died in 1993. The WG Alma Conjuring Collection is highly valued by researchers and performers around the world. The collection includes many rare and ephemeral materials, historical journals from the late 19th and 20th centuries, and limited edition publications by celebrated magicians such as Houdini, Professor Hoffman, Penn and Teller, Harry Blackstone and Dai Vernon. The Collection was donated by world-renowned Australian magician William George Alma and reflects his lifelong dedication to the art of conjuring. The Collection contains around 2000 books on magic, 60 magazine titles, 1500 photographs, 300 posters, over 400 detailed research files on individual magicians and other magic memorabilia. To create a list of the items in the WG Alma Conjuring Collection, search the catalogue using the terms 'magic tricks OR magicians' and limit the search to subject. The results list will also give a range of options to look at specific areas of the list. For instance, you could choose only DVDs or only pictures. If you find books on the Library catalogue that are from the WG Alma Conjuring Collection, most can be ordered using your State Library Victoria membership barcode. Retrievals take about 30 minutes. (The cut-off time for same day deliveries is 5.30pm). Books will be delivered to the Heritage Collections Reading Room and can only be read in that room. Almost all images from the Collection have been digitised and are available through the catalogue. It should be noted that photographs within the Alma Collection may be of variable quality. This is because Will Alma took many photographs of images in magazines and newspapers. The quality of an image online will give a clear indication of the quality of a reproduction of the image. Try the 'Images & posters' tab above. Formed in 1938 and based in Melbourne, the Magic Circle is a society for all people interested in magic and its allied arts. Established in 1905 and located in Birmingham, England. Pharos, also known as 'Alma the Court Magician', was the father of magician Will Alma.